I was thrilled that my first movie with Jackson was one that he stayed awake and behaved for and that I absolutely loved. I might not have laughed so much since The Hangover. The Muppets tapped both my funny bone and my sense of nostalgia. I actually choked up during some of the classic Muppets tunes reprised here. And lead actor Jason Segal is the secret weapon as one of the creators of the story, which is textbook Muppets but also really, really funny. Amy Adams and Chris Cooper are also cast really well respectively as Segal's girlfriend and the oil-tycoon bad guy. The price of admission is worth it based on the cameos alone. 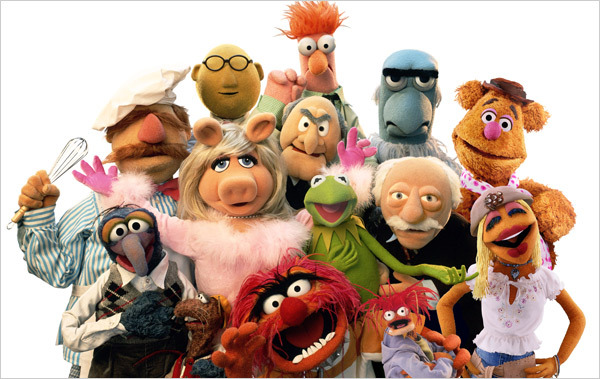 What's interesting is that the cameos complement, rather than overtake, the performances of the stars and the muppets. Some of the biggest cameos, like George Clooney and Mila Kunis, are tellingly left on the cutting-room floor. This is a classic, at the level of the original Muppet Movie and the best of The Muppet Shows. See? Not just for kids, eh?